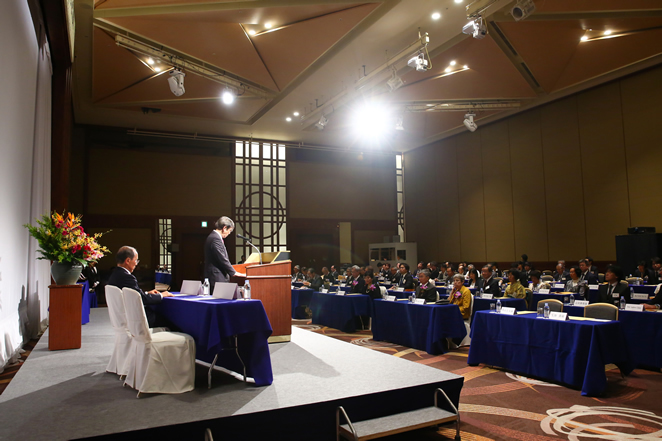 The 2018 C&C Prize Ceremony was held at ANA InterContinental Hotel Tokyo on November 28, 2018. 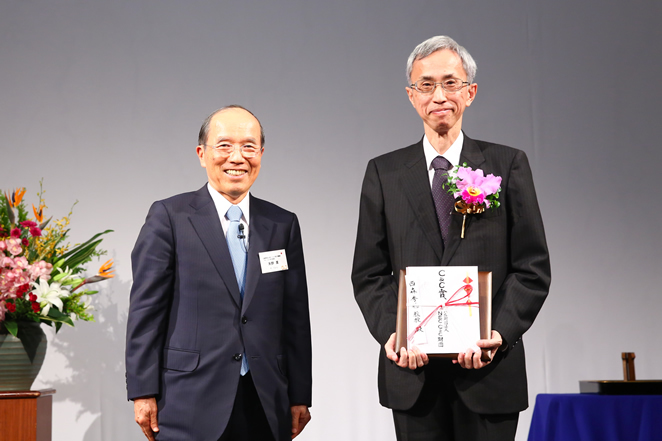 The ceremony started with the welcoming speech by Mr. Kaoru Yano, the president of The NEC C&C Foundation, followed by the recognition of 2018 prize recipients by Dr. Tomonori Aoyama, the chairman of the awards committee. 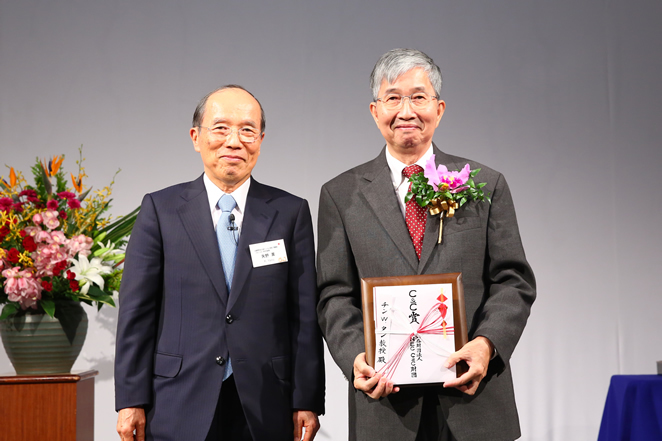 The 2018 C&C Prizes were presented to Prof. Hidetoshi Nishimori, and Prof. Ching W. Tang. As shown in the program leaflet, after the congratulatory speeches and the recipients' acceptance speeches, the ceremony continued to the cocktail party for exchange of greetings, and ended with the dinner to celebrate the 2018 prize recipients. Followings are the pictures taken at the ceremony. Copyright© The NEC C&C Foundation All right reserved.